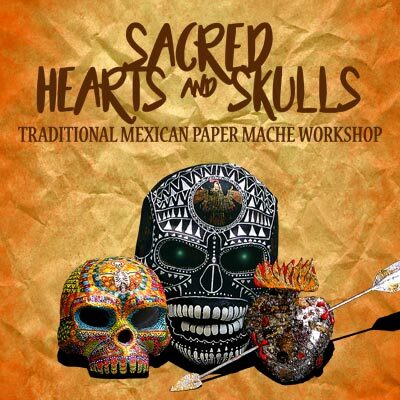 Create and hand paint a sacred heart or mask steeped in the rich cultural history of Mexico, after getting an expert demonstration from artist Diego Marcial Rios! Learn how to make the ingredients necessary to create your own unique paper mache art pieces. All the material will be provided. Perfect for families and children.